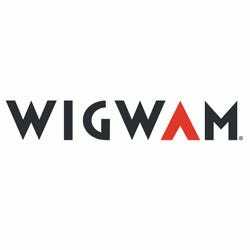 The only thing better than having one pair of Wigwam socks is having three pairs of Wigwam socks and knowing you got a good deal on them. When you buy the Wigwam Black Low-Cut Socks 3-Pack S1042 052 from the Working Person's Store, you can be sure you're getting q ... (see full details) (see specifications) #WGWS1042-052. The only thing better than having one pair of Wigwam socks is having three pairs of Wigwam socks and knowing you got a good deal on them. When you buy the Wigwam Black Low-Cut Socks 3-Pack S1042 052 from the Working Person's Store, you can be sure you're getting quality socks at a the lowest price around (remember, we guarantee it!). These low, athletic socks are long-wearing and offer you Working People a cushioned sole. The fabric, a combination of 64% Cotton, 20% Stretch Nylon, and 16% Acrylic, keeps your feet dry and wicks moisture away from your tootsies. Buy yourself quality socks today. Buy the Wigwam Black Low-Cut Socks 3-Pack S1042 052--you'll be glad you did. I wanted some light weight socks to use around the house and to wear with my sneakers. These fit the bill perfectly. They are airy and so much more comfortable than those crappy bags of cheap white socks that only feel good in the bag and then thin out within a few weeks They are just comfier and really cushiony on the sole, while still being airy on the top of my feet. I really like these socks for their value and will buy another pack. Wigwam Socks: S1042 052 Black Cotton Blend Low-Cut Socks 3-Pack is being added to your cart.